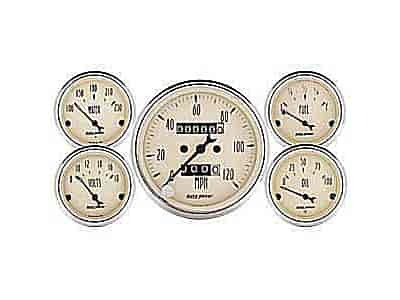 Available separately in four diameters and as dual or quad gauges and kits, these gauges combine nostalgic looks with modern accuracy. They have vintage-style domed lenses, beige faces, black accents, and chrome bezels. Red and green lightbulb covers included for choice of illumination.